When in Riga, make a side trip to see Salaspils Memorial Ensemble in Salaspils, approximately 30 minutes away. On the 7th (Wed), enjoy a perfect day by the water at Jurmala Beach. There's much more to do: make a trip to Old City Riga (Vecriga), take in panoramic vistas at View of Riga from St Peter's Church Tower, pause for some photo ops at Freedom Monument (Brivibas Piemineklis), and take an in-depth tour of Museum of the Occupation of Latvia. 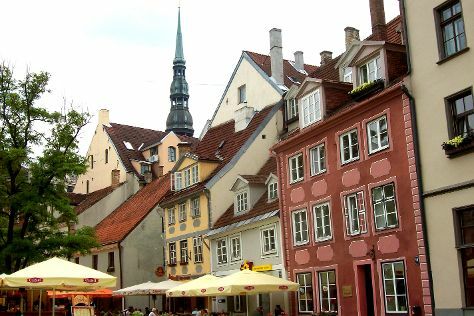 For traveler tips, reviews, more things to do, and other tourist information, read our Riga travel planner. If you are flying in from Australia, the closest major airport is Riga International Airport. In September, daytime highs in Riga are 20°C, while nighttime lows are 9°C. Finish your sightseeing early on the 11th (Sun) to allow enough time to drive to Ventspils. Ventspils is a town in northwestern Latvia in the historical Courland region of Latvia, and is the sixth largest city in the country. Start off your visit on the 12th (Mon): see the interesting displays at House of Crafts, browse the collection at Pārventas bibliotēka, then let the kids burn off some steam at Ventspils Children’s Town, then see the interesting displays at Ventspils Museum, and finally explore the historical opulence of The Castle of the Livonian order. 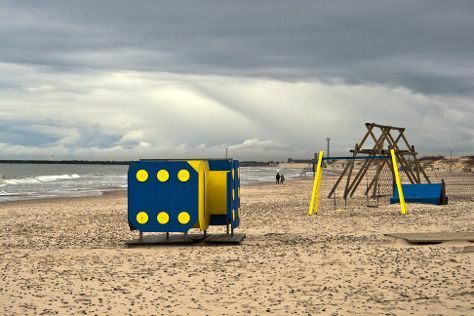 On the next day, examine the collection at Ventspils Creativity House Planetarium and Observatory, then tour the pleasant surroundings at Ventspils Beach, and then make a splash at Ventspils Water Park. For photos, where to stay, more things to do, and more tourist information, read Ventspils holiday planner. Drive from Riga to Ventspils in 2.5 hours. Alternatively, you can take a bus. Expect a daytime high around 20°C in September, and nighttime lows around 8°C. Finish your sightseeing early on the 13th (Tue) so you can drive to Liepaja. Liepāja, is a city in western Latvia, located on the Baltic Sea directly at 21°E. On the 14th (Wed), test your team's savvy at popular escape rooms, pause for some serene contemplation at St. Nicholas Orthodox Sea Cathedral, then contemplate the long history of Karosta Prison, then look for gifts at Peter Market, and finally tour the pleasant surroundings at Jurmalas Park. On the next day, steep yourself in history at Northern Forts and then get engrossed in the history at Liepājas muzejs. To find more things to do, reviews, ratings, and other tourist information, use the Liepaja travel planner. You can drive from Ventspils to Liepaja in 2 hours. Alternatively, you can take a bus. In September, daily temperatures in Liepaja can reach 20°C, while at night they dip to 8°C. Wrap up your sightseeing by early afternoon on the 15th (Thu) to allow time for the car ride to Daugavpils. Daugavpils is a city in southeastern Latvia, located on the banks of the Daugava River, from which the city gets its name. Kick off your visit on the 16th (Fri): stroll through Dubrovin Park, steep yourself in history at Daugavpils Fortress, then pause for some serene contemplation at Saints Boris and Gleb Cathedral, and finally take in panoramic vistas at Daugavpils Shots Factory. For where to stay, ratings, traveler tips, and other tourist information, use the Daugavpils trip builder. Drive from Liepaja to Daugavpils in 6 hours. Alternatively, you can do a combination of bus and train.